Will YouTube Change the Substance of Presidential Politics? Democratic presidential candidates last night faced questions posed by ordinary citizens on amateur video. 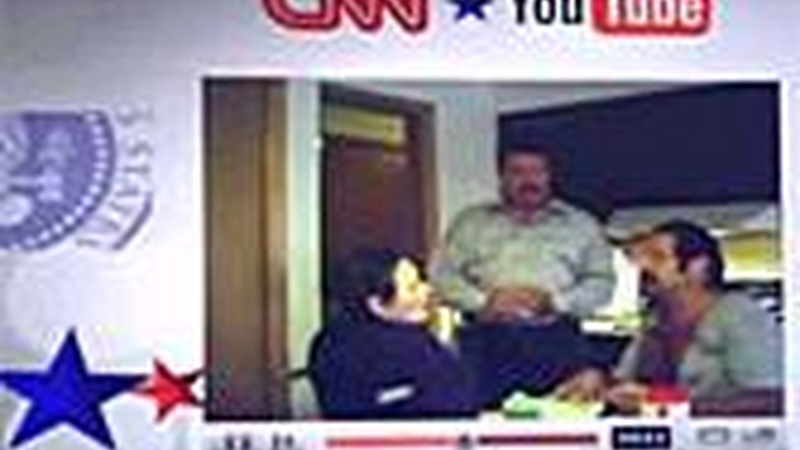 CNN promoted it as the beginning of real change in the style and substance of American politics. Did the debate live up to advance billing or was it more of the same in a different format? Also, round two of US-Iran talks on stabilizing Iraq and, on Reporter's Notebook, amid charges that a referee bet on games, Commissioner David Stern defends the credibility of professional basketball. Will YouTube and Web 2.0 Change American Politics? Is Referee Scandal a Sign of Gambling in the NBA? The FBI is investigating a former professional basketball referee who's suspected of betting on games and disclosing confidential information to other gamblers.